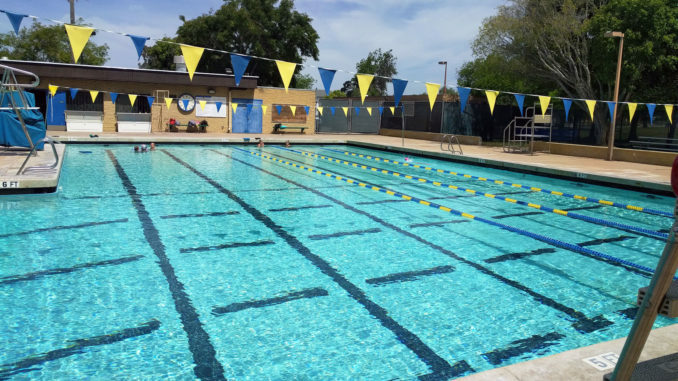 Parks and Recreation Area Manager Berenice Garcia announced that she had received no complaints regarding the removal of the recycle bins in front of Swanson Pool. Doyle Recreation Center is the designated drop-off location for recyclables in the University City area. UCCA President Barry Bernstein thanked the Recreation Council for their support in removing the recycle bins. Center Director Roger Hughes and Recreation Council President John Schindel discussed the process, required by the City, to separate monies donated to the Recreation Council for events such as the 4th of July Celebration and Summer Concerts from monies collected through Recreation Center fees such as permits, sports leagues and exercise classes. Roger reminded park users that permits are required for jumpies/inflatables in all University City area parks, including the University Village (aka the Tot Lot), University Gardens (aka the Dinosaur Park) and Marcy Park. Permits may be obtained at the Standley Recreation Center. Marcy Park representative Don Hotz announced that usage is up at Marcy Park with people of all ages enjoying the park. Recently, additional trees, benches, trash containers and a water fountain have been installed. Mesa Soccer representative Danielle Segal announced that the team will participate in a tournament in April and in the NFFC Notts Forest Football Club (dedicated to soccer excellence) 2nd Annual 5K Walk/Run on Sunday May 20th. Village and Gardens representatives Gordon and Carol Parham reviewed some maintenance concerns at each of those parks. UC Little League representative Tom Cartier announced that there are over 350 players participating in Little League this year. 4th of July Celebration representatives announced that the next planning meeting is Wednesday, April 4, at 6:30 at the Recreation Center. Standley Park Recreation Council (SPRC) members are volunteers who advise Park and Recreation staff on matters related to programming, events, equipment and improvements. The Recreation Council meets the 4th Thursday of every month at 7 p.m. at the Recreation Center on Governor Drive. Meetings are open to the public and any adult who is interested in making an impact or has concerns about the neighborhood parks and recreation center should attend the meetings.